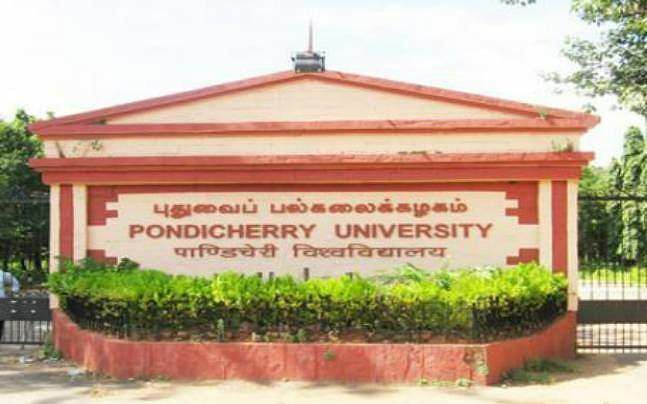 The Pondicherry Central University (PU) has written to MHRD for granting 25 per cent reservation in seats to students of Puducherry in all courses conducted by the University, in response to the demand for it, said Vice-Chancellor Professor Gurmeet Singh on November 30. Though the University has the power to do it on its own, it requires the approval of MHRD as additional funds would be required to increase the number of seats for the purpose. At present 35 per cent of the seats in all subjects are occupied by Puducherry students, claimed the Vice Chancellor. Since Puducherry does not have a state university and local students are dependent on Pondicherry University, he was not opposed to granting 25 per cent reservation. He has written to MHRD citing the pleas made by the Members of Parliament from Puducherry in this regard. However, he added that MHRD will look at as a policy matter in the context of 44 Central Universities in the country. Addressing a press conference on completion of a year in office, the Vice Chancellor said that the University has decided to increase the intake of students by 20 per cent in all the departments every year starting with the coming academic year as part of its plan to raise the total strength of students to 10,000 in five years from 6,500 at present . The administration has decided to increase the seats gradually every year to reach the figure. However, the faculty is "grossly understaffed" and hence the University is in the process of appointing 200 faculty positions. There exists 30 per cent vacant positions as no recruitment have been made in the last seven to eight years, said the Vice-Chancellor. Besides, the majority of the staff has been retiring leading to more vacancies. The University has been managing with contractual faculties.T he process of recruitment will start soon and those working on a contract basis could also apply. The University is also planning to start new courses in the faculties of Arts, Science, Social Sciences and South East Asian Studies in the coming academic year. Expert opinion on the syllabus is being sought from best Universities. While in some of the courses the syllabus has been formulated and sent to experts, in others it is being done. The suggestions given by the experts will be incorporated into the syllabus for the course, said the Vice-Chancellor. With more faculty positions being required for the courses, the University will have to get approval forthe creation of new posts. "We will be soon writing to the University Grants Commission and the Ministry of Human Resources Development (MHRD) to get the approval for the new positions and creation of new posts," he said. The university administration is also in the process of launching a Center for Tamil Language Literature and Performing Arts. The proposed Center for Tamil Languages will have some of the Tamil classics translated into regional languages particularly Hindi so that people could know about the greatness of this ancient tradition as well as translate classics in other languages into Tamil. The university has given the approval to establish Sri Aurobindo Chair, Dr Karunanidhi Chair and Srimanta Sankaradeva Chair, a 15th-century Vaishnavite saint from Assam. The modalities for Karunanithi chair is being worked out and is expected to be established in coming academic year. The Department of Tamil will be submitting a detailed proposal for the Dr Karunanidhi Chair, which would be sent to the MHRD soon. The Assam Government has offered Rs.5 crores to set up the Srimanta Sankaradeva Chair for research on the Vaishnative movement in Assam. The Vice-Chancellor said that University was back on track with improved teaching and research. The 24 MOUs with foreign universities are also having its impact on learning and research. Many researchers have won awards at the international level.